You see a map that contains territory of Russia. interesting map of Demidov displayed. interesting map of Zhivutitsy и OziExplorer calibration for gps. interesting map of Zavidovka Pervaya with gps calibration for Garmin. topographic map of Zaruby for you. free map of Zaiki with gps calibration displayed. topographic map of Yes'kovo calibrated here. interesting map of Yeliseyenki и OziExplorer calibration for gps. map of Yazvishche calibrated for you. 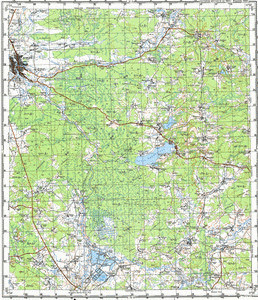 topographic map of Yashina и OziExplorer calibration this. map of Vytinovka with gps calibration for gps. detailed map of Voloty displayed. free map of Veret'ye with gps calibration for Garmin. detailed map of Vasilenki 1 cm to 1 km here. actual map of Varnavina free download. map of Trofimenki displayed. topographic map of Tolkuny with gps calibration for you. actual map of Teterki this.